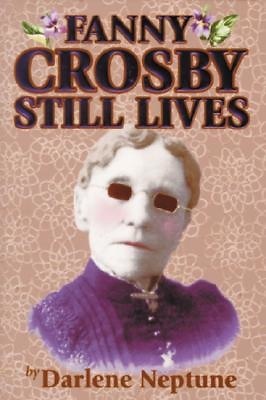 Journey into the extraordinary life and times of nineteenth-century writer Fanny Crosby, the prolific author of thousands of well-loved American hymns. Blinded at the age of three weeks by medication that was too strong, Fanny determined at an early age to share her faith and the joy of her conversion with everyone she met--and eventually sharing them with the millions of Christians who still sing her sacred words in such familiar titles as Safe in the Arms of Jesus, Praise Him, Praise Him, Pass Me Not, O Gentle Saviour, Near the Cross, and Blessed Assurance. This novelized biography of wife, mother, renowned poet, and social activist is an inspiring example of one woman xED;s personal triumph over heartbreak. The reader is swept back in time through many diary excerpts and anecdotes. Raised by a loving mother and grandmother, Fanny, with her remarkable memory, burning desire for an education, and early compassion for the homeless and handicapped, is here introduced to the reader. This sensitivity would eventually endear her to many influential friends and advisors, and even some American presidents. She prayed that God would use her music to help others see His grace and goodness. A devoted, outspoken advocate for the needy of New York City, she was the first woman to lobby Congress for schools for the blind at a time when formal education was rare. The book contains many of Fanny xED;s familiar lyrics and poems, written under more than 100 pseudonyms, and the stories behind them. About the Author Author and gospel singer Darlene Neptune has always felt drawn to Crosby xED;s hymns, because her words are so easy to understand. She spent several years digging through attics, basements, and antique stores, in addition to newspaper articles and other historical documents, looking for the rich heritage of music and pictures. Neptune has been in full-time gospel ministry since 1985 when she was miraculously healed of a brain tumor. She is considered the world xED;s leading authority on Fanny Crosby and frequently presents dramatizations of Crosby xED;s life to audiences around the nation. She resides in Naples, Florida, with her husband, Dennis, though they are on the road ten months of the year.